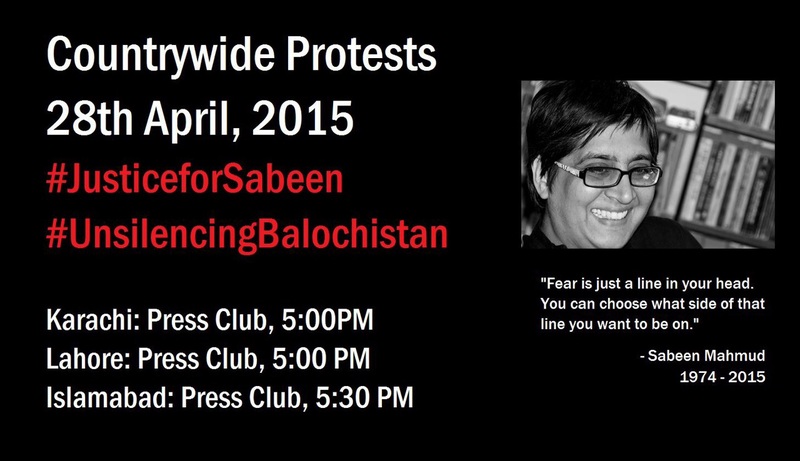 Below, some of the widespread condemnation and protest vigils against the cowardly murder of human rights activist and upholder of free speech Sabeen Mahmud, shot dead in Karachi on the night of April 24, 2015 after she hosted a conversation on human rights violations in Balochistan. Just published: Tanqeed’s partial transcript of the discussion. No, Sabeen was not a separatist, nor did she condone violence by anyone, whether in the name of nationalism, ethnicity, religion, or honour. She was a firm believer in open, civil dialogue. The best tribute we can pay to her is to keep her legacy alive by continuing to speak up and keep the dialogue going.